For tinting most cars are complete within 3 hours. Supaglass requires a full day. You can use your vehicle straight away. However, it does take 24 hours for the tints to cure fully and we would advise that you do not operate your windows during that period. 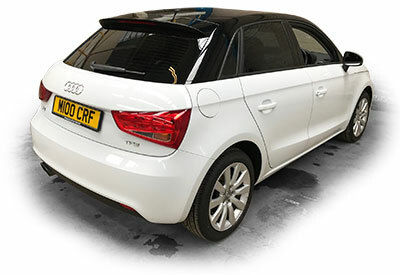 Window film is applied to the inside surface so your car can be washed and cleaned on the outside as normal. The inside of the window can be cleaned with normal window cleaner and a soft cloth. Avoid any abrasive products that may scratch the film. Yes. We keep records of which films were used and can replace them easily. Yes. The process is easy to reverse and returns the glass to its original state. Yes. Window film can block up to 65% of solar heat. Yes. Window film greatly reduces glare and block 99% of harmful UV rays.